The thrill of the spearfishing hunt! Feel the thrill of hunting and catching your own dinner in the great blue sea. 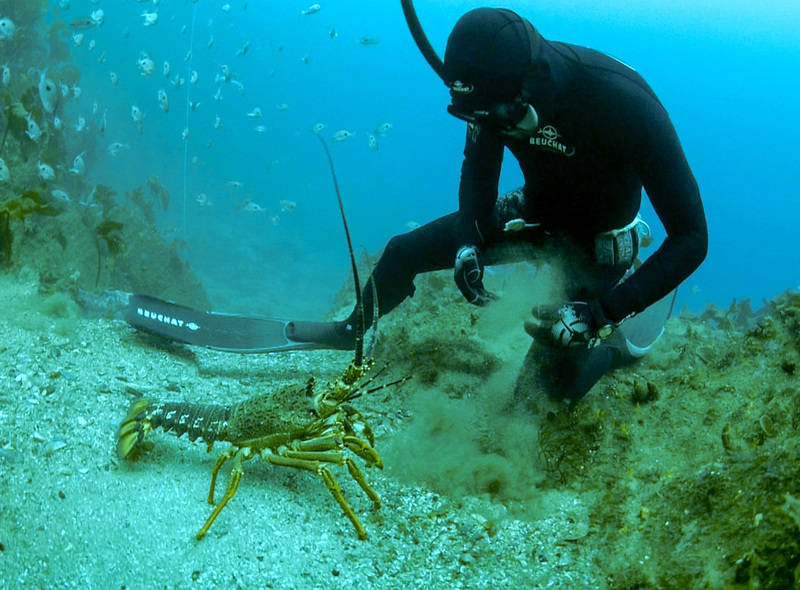 Get the most out of your spearfishing trips with our insider’s tips and advice. We can help you hold your breath for longer and give you suggestions on the best equipment for your desired fish. And we know all the best local spots to ensure you have a successful day in the water. Aiming at butterfish, snapper or blue moki? We stock guns from 500mm to 1200mm long, and we make sure you’ll have the best gun for a successful hunt. Dive HQ Christchurch stocks a full range of spearfishing brands, including Beuchat, Rob Allen, Wild Blue, Pinnacle and Omersub. Take a look at our online store, trademe store, or come in and see us instore. Purchase from us and we ensure that your product lives up to its warrantee and guarantee. And if you see the same product for cheaper, we will price match. Looking to improve your breath hold or free diving skills? Come and join one of our informative and fun courses and realise your spear fishing potential! Sign up for trip text alerts to find out where we’re going next. Or join ClubHQ to find out everything that is happening in our underwater playground.